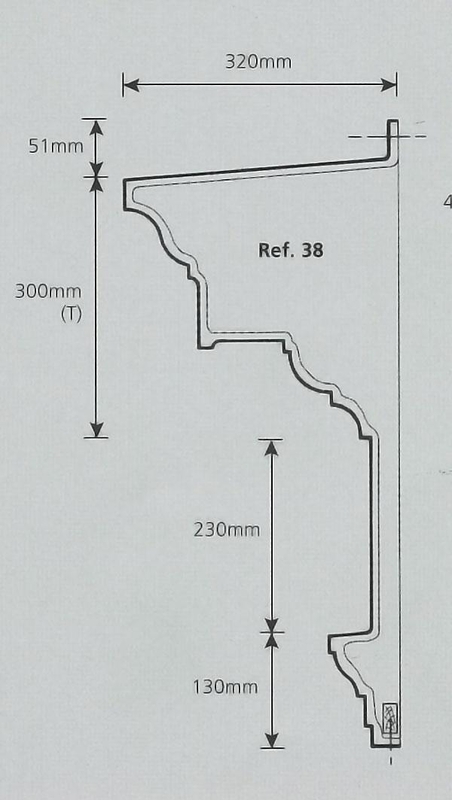 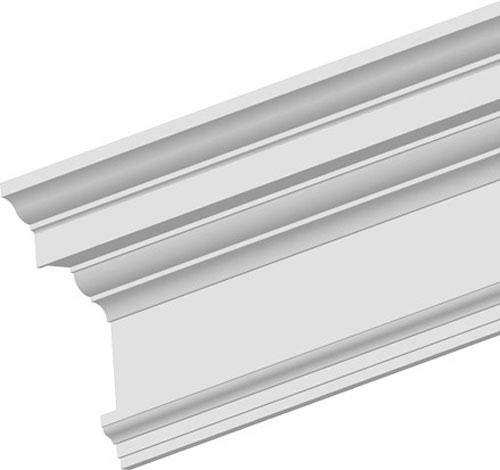 GRP Cornice Ref 38. The medium size unit from this profile range. 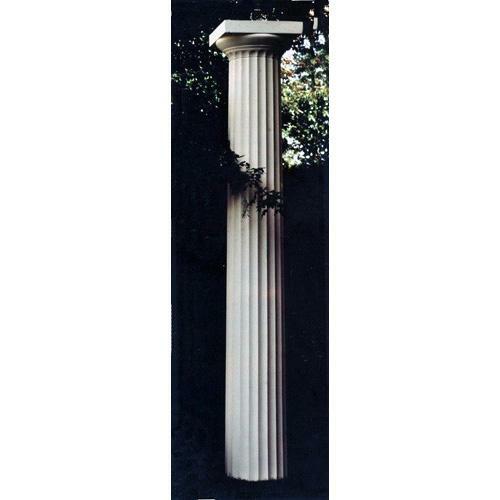 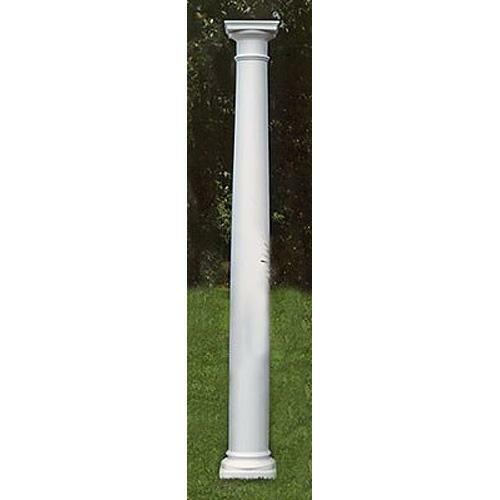 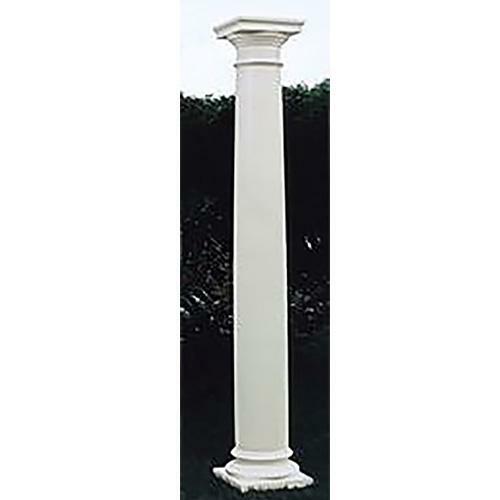 Produced in lengths to order up to a maximum of 6 metres long. 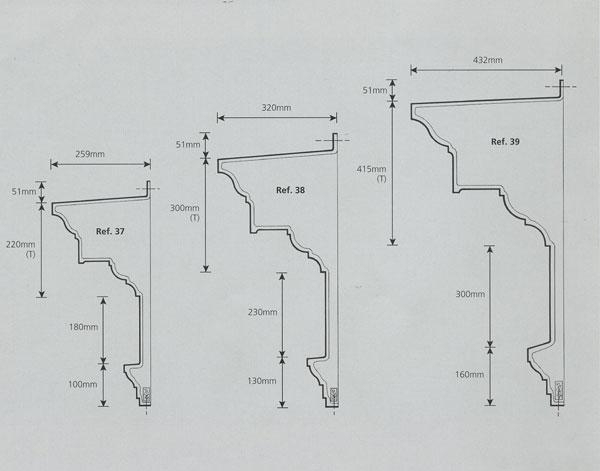 Price quoted is per linear metre. 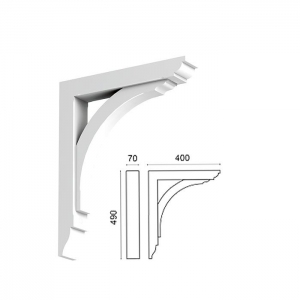 Internal and external corner units also available.